Bean Bar You was founded by us, Alison Pearce and Chris Brown, at the start of 2016. Alison has always loved chocolate, but discovered the bean to bar chocolate movement in Europe and will never be the same again. After hearing Alison go on (and on!) about it, Chris tried some and is now well and truly hooked too! We love knowing the source, quality and ethics of our favourite treat. Moving home to Sydney we were devastated to realise how limited the selection of craft chocolate available in Australia was. 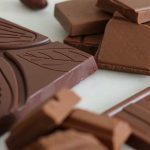 Even despite the booming Australian chocolate scene, many local chocolate makers only had their bars available in their local area. 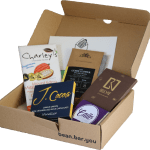 We started Bean Bar You as a way access great chocolate for ourselves and chocoholics around Australia. 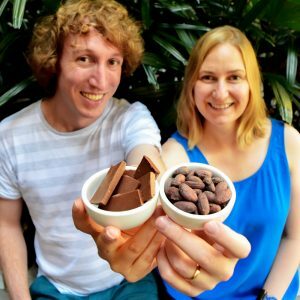 With backgrounds in statistics and health economics, we leverage our analytic skills to create a truly personalised chocolate subscription service! We realise how important it is to educate the community about the benefits of craft chocolate, so have started doing education activities such as tasting events, and have introduced collaborative efforts to support chocolate makers. We love talking about chocolate so connect on social media or contact us now.